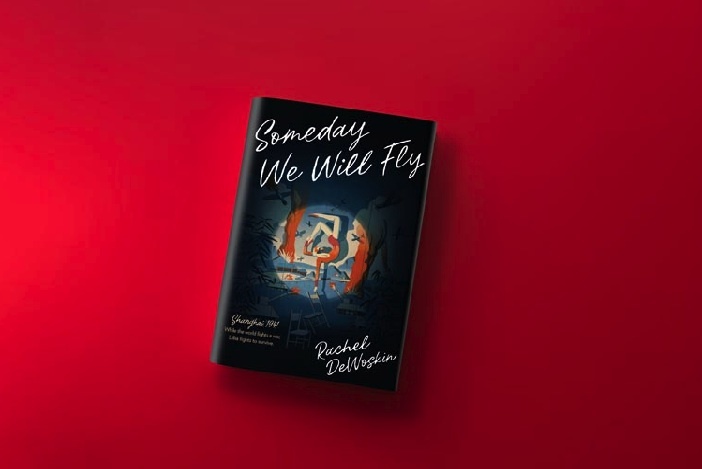 Welcome to the Someday We Will Fly Blog Tour! To celebrate the release of Someday We Will Fly by Rachel DeWoskin, blogs across the web are featuring exclusive content from Rachel, as well as 5 chances to win a copy of Someday We Will Fly and two authentic Chinese bookmarks! Writers are doing research all the time. It’s not always formal, but all of our looking, asking, and listening counts. 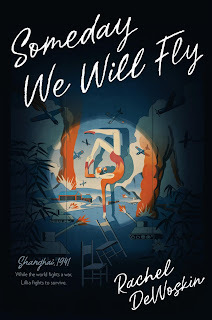 I was inspired to write Someday We Will Fly by some photographs I happened upon in the Shanghai Jewish Refugee Museum one summer when I was in Shanghai working on a contemporary TV project. The first photo was one of a group of teenage boys, war refugees from Europe, like so many of the Jewish settlers who found themselves in Shanghai between 1939 and 1945. These boys were staring into the camera with the soulful, hollowed-out look of kids growing up in the deadening context of war. They also looked like boys anywhere, mischievous and sweet. Stunningly, they were dressed in polo shirts with school insignias and little tennis rackets printed on the chests. These were teenagers who had arrived in Shanghai having fled both unspeakable terror and everything that was familiar to them, and yet their grown-ups, on top of managing to keep them safe and feed them, had made a school, a table tennis table team, and then, from there, shirts. Those tiny insignias seemed iconic to me of how human beings save each other and our children. Of course they were also a very literal symbol of the resilience refugees demonstrate — in ways both too small to be seen and too vast to be measured. Next to that image was one of two toddlers, girls holding rag dolls. The girls were in rags themselves, but someone who loved them, their parents, maybe, or friends, aunties, or neighbors, had sewn dolls for them, and painted on those dolls lovely, expressive faces. The records of these children’s lives, and the objects that revealed their community’s devotion to them, inspired Lillia. And she let me ask, in as many and complicated ways as possible, the horrifying question of how families survive the chaos of war. Who loves us enough to keep us safe in the face of staggering danger and violence, and how can children come of age in circumstances as un-nurturing as those of occupied cities? How do we figure out how to live, to use languages both familiar and unfamiliar to tell stories that make our lives endurable? How do we read or imagine our ways back to hope, even when we feel the constant pulse of its twin force, dread? In order to understand not just the history of the actual refugees who survived WWII in Shanghai, but also some of these more intangible but equally profound questions of how, I read dozens of books and articles, watched documentaries, and spent six summers in Shanghai, living in the Embankment Building. Historical fiction allows writers and readers to visit moments that aren’t the ones we live in, and to create connections between then and now, them and us, our own histories, present tenses, and hopefully futures. In blazing heat, I walked the streets Lillia would have walked, explored people’s kitchens, climbed the staircases of houses almost unchanged since the war, and sat thinking in places from Wayside Park to the Bund to skinny alleys and lanes for which the magnificent city is famous. To write the streets, bridges, buildings, and river, ports, I ran along Suzhou Creek and over the Garden Bridge every morning for many months, looking up at the banks and hotels, imagining what Shanghai looked like to Lillia. I thought about bowing at the entrance to the bridge, what the requirement of such a humiliating gesture might have felt like. The Embankment Building, where I rented an apartment, was built in 1932 by the Sassoon family, and served as the processing center and a shelter for Jewish refugees from the late 1930’s until the mid 1940’s. I wandered its halls all these decades later, mining artifacts and memories. Those Shanghai summers were a scavenger hunt for nouns: what boxes, puppets, jewels, coats, books, trunks, letters and musical instruments did families bring or make or long for? What coal lit fires in the buckets over which they boiled water? Who baked bread, stirred soup, washed sheets, or hash-marked epic cycles of days and nights? What were Shanghai’s economies – not only of actual trade, but also of emotion and hope? I visited the old slaughterhouse, a beautiful art building now with sleek photo studios and coffee shops, and envisioned Lillia and Biata watching cows being led down the ramps. Back in the west, I spent a lovely parade of afternoons in the Chicago home of a doctor whose mother was a Shanghai Jew. She has her mother’s book bag, photos, “Girl Guide” logbooks, and papers. From antique report cards, I gleaned the curriculum of the Kadoorie School from 1941-47 – lots of science, especially about the body, organs of respiration and blood. 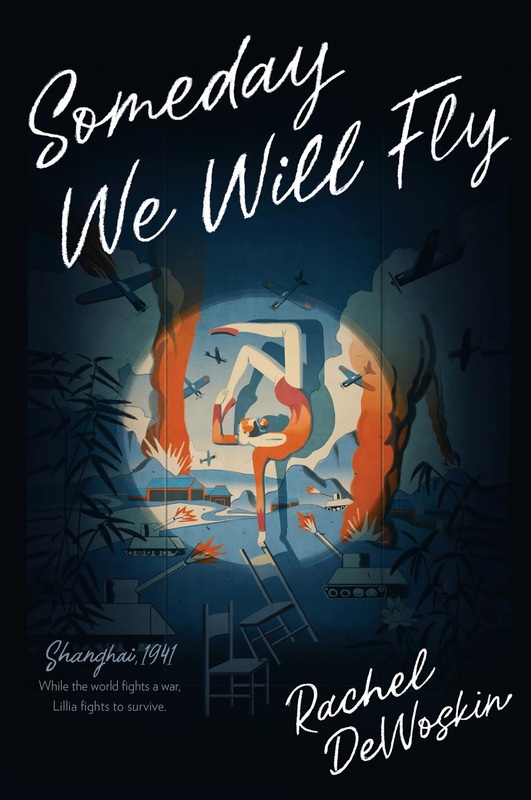 From diaries, I read the inner life of a real, lived girlhood in war-time Shanghai. For this one courageous German Jewish girl, it seemed to me that science, maybe even facts themselves, kept her tethered to her own life, helped her feel safe. So I gave Lillia lists, Chinese characters, numbers and letters that would keep their meaning no matter what else was lost. I also talked with and read the books of Michael Blumenthal, the supremely generous former secretary of the U.S. treasury under President Jimmy Carter. Michael is a Shanghai Jew who grew up in Hongkou, (the district where the Embankment Building is, and which after 1943 became a ghetto — all Jewish refugees were forced to move there.). He gave me a view of China and humanity both profound and intricately detailed. He remembered the boys walking in circles around Hongkou, like teenage boys anywhere, hoping for the notice of their crushes. And he described his childhood understanding that some adults rally while others disintegrate, and his curiosity about the powerful people he met while working in the White House – how would they do in 1940’s Shanghai dressed in flour sacks? His wonder informed mine. Lillia and the people around her are made up, but the Shanghai they inhabit is quite real, and in some ways, maybe not so different from the world we live in. There are children facing the same sorts of risks as the girls at the center of my book. There are parents facing the same astronomical obstacles. There are people behaving heroically, and there are those behaving unforgivably. If we look at history and imagine ourselves into it in ways both empathetic and literary, we can create ways to move toward a more socially just world. Meanwhile Lillia is growing up, trying to care for Naomi, whose development is frighteningly slow, in part from malnourishment. Lillia finds an outlet for her artistic talent by making puppets, remembering the happy days in Warsaw when her family was circus performers. She attends school sporadically, makes friends with Wei, a Chinese boy, and finds work as a performer at a “gentlemen’s club” without her father’s knowledge. 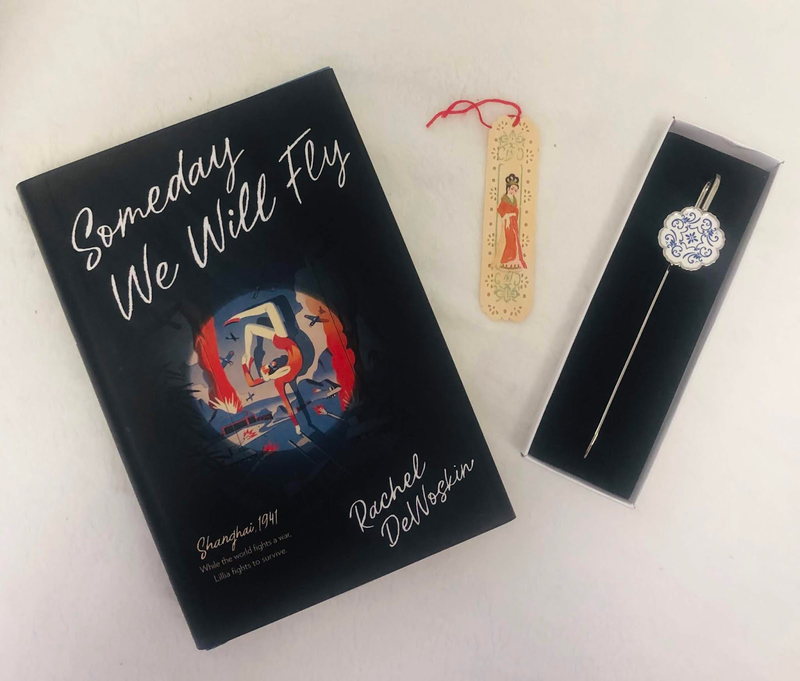 About the Author: Rachel DeWoskin spent her twenties in China as the unlikely star of a nighttime soap opera that inspired her memoir Foreign Babes in Beijing. She is the author of Repeat After Me and Big Girl Small, which received the American Library Association’s Alex Award for an adult book with special appeal to teen readers; Rachel’s conversations with young readers inspired her to write her first YA novel, Blind. Rachel is on the faculty of the University of Chicago, where she teaches creative writing. 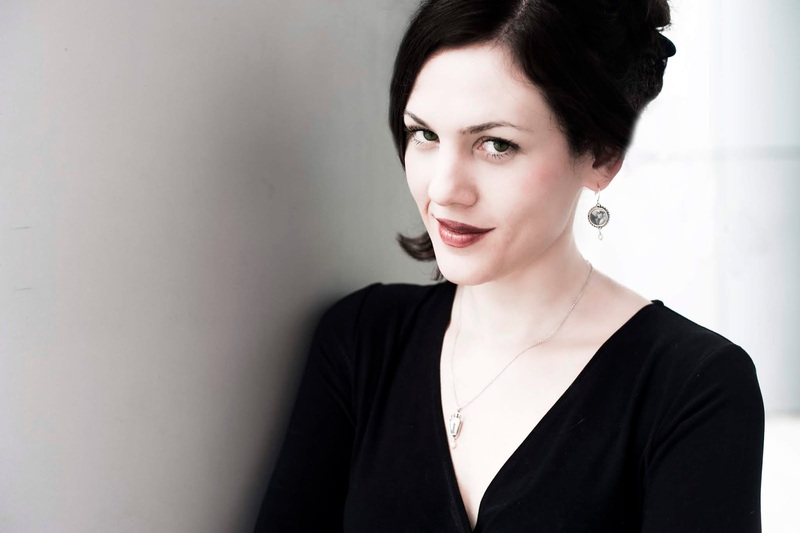 She lives in Chicago with her husband, playwright Zayd Dohrn, and their two daughters. Rachel and her family spent six summers in Shanghai while she researched Someday We Will Fly. “Leave a comment on this post about a topic you wish you’d learned more about in history class.” I always like to learn more about China and India–those countries are incredible! –I saw a documentary about the subject of this book. Pretty incredible. I wish I would have learned more about the Japanese internment camps in the US.